The St. Louis area has a wide variety of events that are happening every day of the week*. Cultural events, sporting events, concerts, plays, special exhibits, children and family friendly events, festivals, parades, celebrations... 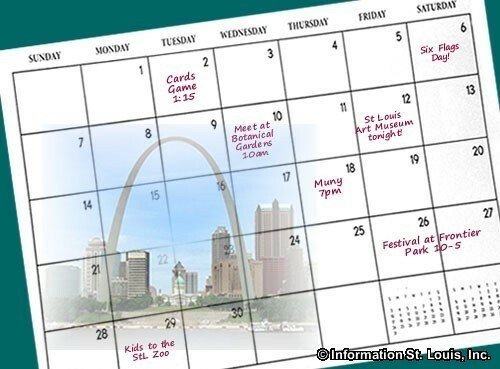 If you are looking for something to do today, tonight, this weekend, or even next month, St. Louis has something going on and StLouisCalendar.com can help you discover what you are looking for in one easy site. Check back frequently as events are added daily! *Please check the website listed on each event to get the most up-to-date information.